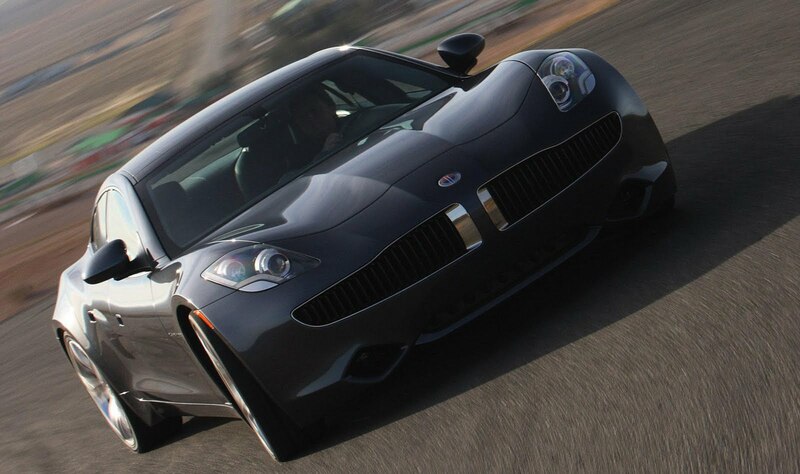 Fisker has announced that the Karma plug-in hybrid will be delayed in the U.S. Despite the lack of explanation by Fisker, a spokesman said "the first dealer and customer cars will arrive on these [U.S] shores in July." That would mean the marque has missed to previous launch dates of Winter 2009 and Spring 2011. If you don't know already, the Karma is powered by a 20kW lithium-ion battery which transfers power to a pair of 402bhp (408PS/300kW) electric motors that develop 1,300Nm (959lb-ft) of torque. With a top-speed of 124mph (200km/h), the vehicle can travel 50 miles (80.5km) on electricity. Once the battery has died, a turbocharged 260bhp (256PS/194kW) 2.0 litre petrol engine recharges the battery, allowing the car to travel upto 300 miles (483km) with an average fuel economy figure of 118mpg (2.4l/100km/98mpg U.S) and CO2 emissions of 83g/km.